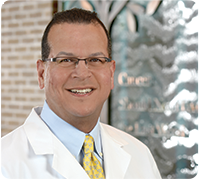 Dr. Sam Bibawi is an independently practicing medical oncologist and hematologist on staff at Methodist Richardson Cancer Center, where he serves as medical director. He completed his internal medicine residency at the University of Virginia School of Medicine and his hematology-oncology fellowship at the University of Vermont College of Medicine. With almost 20 years of hematology and oncology experience, Dr. Bibawi relies on the most current medical research, data, and protocols in treating his patients, and he has authored several publications and book chapters. His primary areas of expertise are breast cancer, lung cancer, complex hepatobiliary and gastric cancer and colorectal cancer. He has particular interest in leukemia, lymphoma, and complex benign hematology like aplastic anemia and other disorders, honed by his experience as a faculty member at M.D. Anderson Cancer Center. He is board certified in medical oncology, hematology, and internal medicine. Dr. Bibawi was voted by his peers as one the Best Doctors in Dallas/Collin County for 2010, 2011, 2013, 2014, 2015 and 2016 in D Magazine and a Texas Super Doctor by Texas Monthly in 2013, 2014 and 2015. In addition, Dr. Bibawi is designated on the prestigious Castle Connolly website as among the top 10 percent of US physicians in hematology. Dr. Bibawi enjoys spending time with his family, playing racquetball, cooking, and off-road driving. Dr. Alan Trumbly is an independently practicing medical oncologist on staff at Methodist Richardson Cancer Center. He attended medical school at Oklahoma State University. He completed his internal medicine residency and his medical oncology fellowship at Scott & White in Temple, Texas. 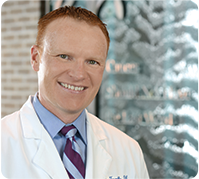 During his fellowship, Dr. Trumbly proudly served as a physician at Central Texas Veterans Health System and was nominated into the AOA Honor Medical Society. He is board certified in internal medicine and medical oncology. His medical interests include breast cancer, skin cancer, prostate cancer, complex hepatobiliary and gastric cancer and malignant hematologic disorders such as leukemia and lymphoma. His research background includes high risk familial breast cancer testing and management. Dr. Trumbly enjoys spending time with his family, playing with his dog, and staying active outdoors. To learn more about the other specialists at Methodist Richardson Cancer Center, please visit the Cancer Center's website. Texas law prohibits hospitals from practicing medicine. The physicians that practice at Methodist Richardson Hematology Oncology Associates, including Dr. Bibawi and Dr. Trumbly, are independently practicing physicians employed by the Medhealth and are not employees or agents of Methodist Health System or Methodist Richardson Medical Center.